I found four examples of the White Underwing (Hodges #8803) clinging to the east wall of the Wellness Center on the UND campus this morning. I photographed one of these specimens, shown here, to digitally document a North Dakota specimen. 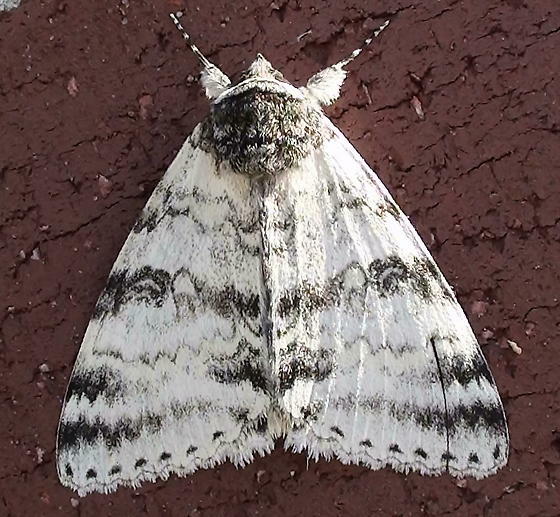 I posted an example of a Minnesota specimen, photographed at Fisher, Minnesota, the day before (see thumb photo below).